Monday 20th August, at 8.00 pm. 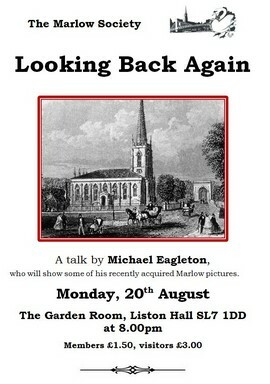 A talk by Michael Eagleton, who will show some of his recently acquired Marlow pictures. Entry is £1.50 for society members and £3 for visitors.